Muller Partnership’s Melbourne staff: Cyrrus, Luke, Alex and Nirvana attended the first RMIT Indigenous Career Fair in collaboration with Ngarara Willim Centre to support Aboriginal and Torres Strait Islander people. Muller Partnership joined a number of other companies at the fair to communicate and provide career opportunities to talented indigenous students. Muller Partnership is excited to be working to support a diverse workforce and make a positive impact across our industry. 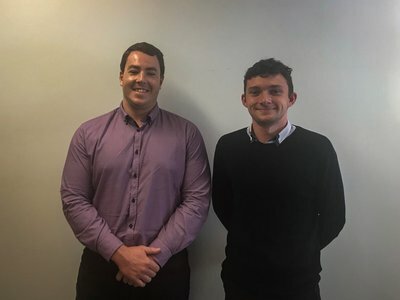 Muller Partnership are excited to welcome our new cadets Joseph, Nicholas and Brad in 2019 to the Newcastle office. Muller Partnership prides ourselves on training undergraduate cadet employees. 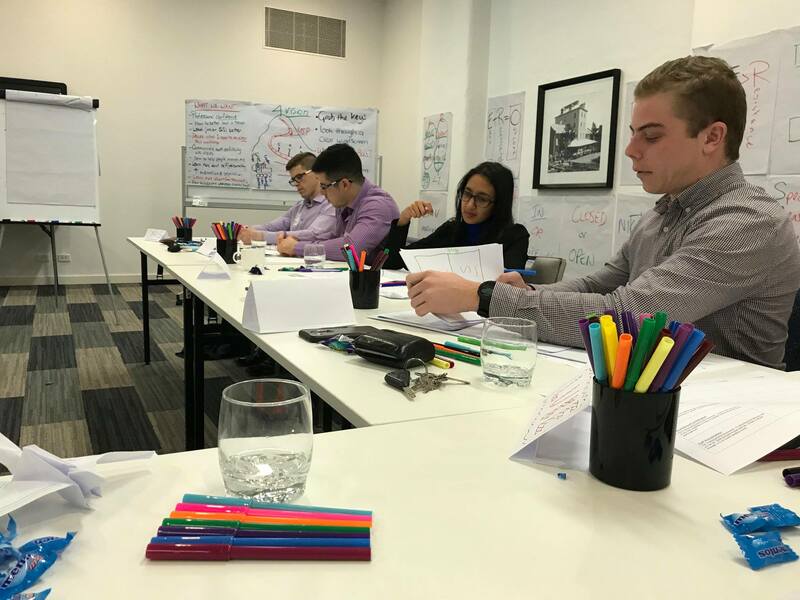 The cadetship program is well established, with all existing employees providing a close network of shared knowledge and meaningful industry experience to progress the cadets into a future QS career. ‘’Goodbye 2018 and Hello 2019’’. This morning Matt, Jacky and Lachlan attended the final ‘’First Friday Club’’ event hosted by the ever enthusiastic Momentum Business Improvement Specialists. It is well worth a shot as it's not just a great networking event but also provides genuine skills and cuts out the fluff. The final monthly event focused on making 2019 our best year yet with all three walking away optimistic they can improve their abilities with our great clients and the Newcastle team. Since its humble beginnings in 1997, Muller Partnership has enjoyed a strong connection with the Construction Management program offered at the University of Newcastle. Under the stewardship of Muller Partnership’s Chief Executive Grant Muller, this connection has flourished over 21 years. We currently enjoy an amazing 11 employees whom are either studying or have completed their degree and span across three offices located in Newcastle, Sydney and Melbourne. 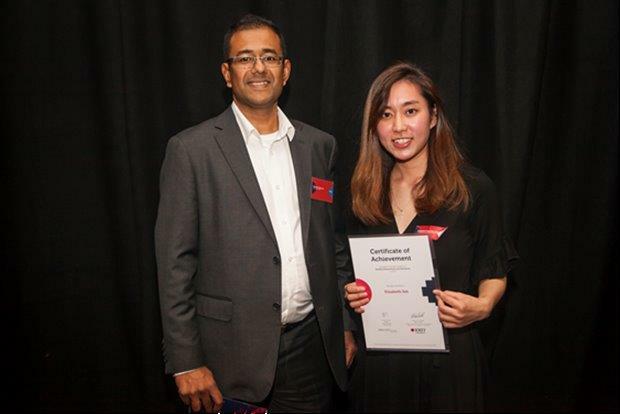 Muller partnership's Melbourne Director Richard Samuels presenting the winner of our RMIT Award for best Quantity Surveying student for 2018 back in November. 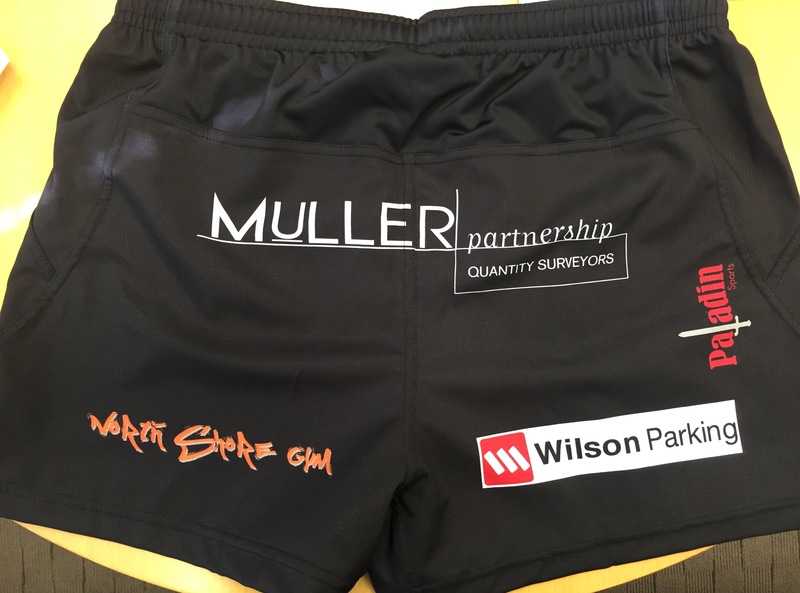 Muller Partnership prides itself on sharing its core values of Quality, Trust, Personal Growth and Fulfilment. 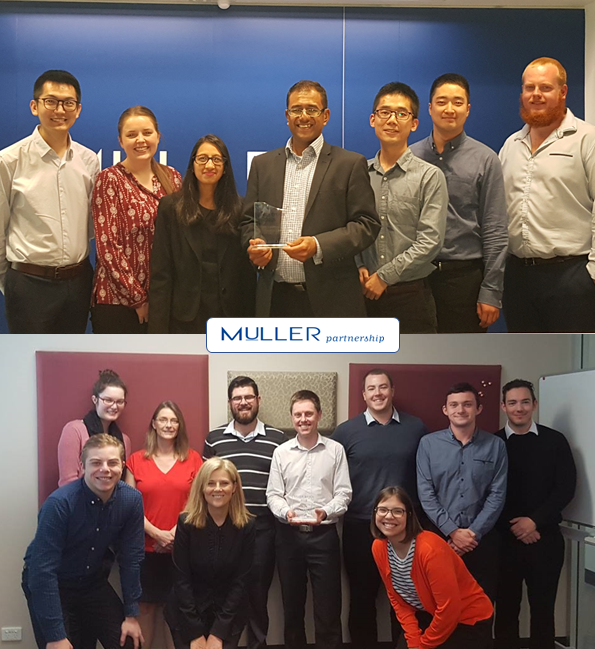 A Big year for Muller Partnership with the Melbourne and Newcastle Team each receiving a Silver Epoch Award for their excellent performance in the 2017/18 Financial Year. Some of the attendees at our 2 day Leadership workshop held in Newcastle in May 2018; Left to Right: Cyrrus, Harrison, Nervana and Matt. Muller Partnership is an organisation that is passionate about developing new and existing employees by providing opportunities to grow their experience with us. 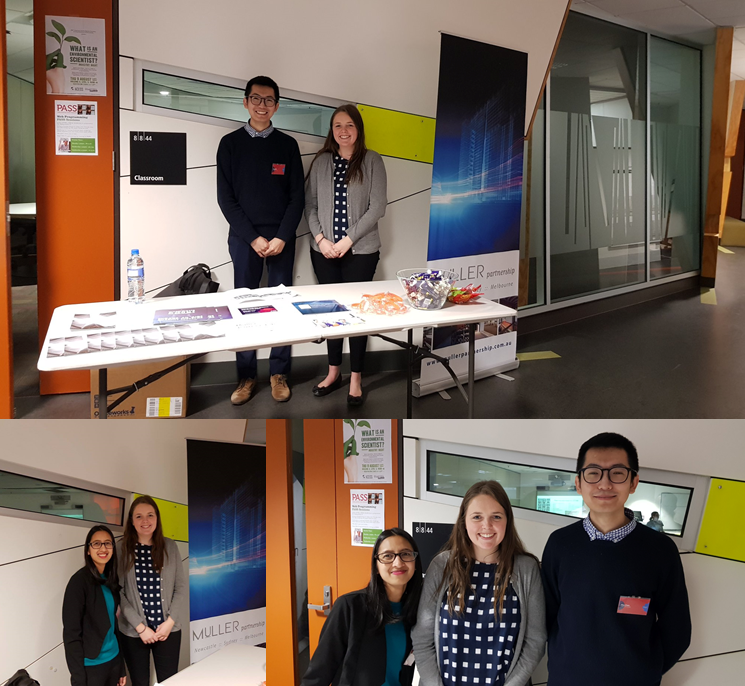 Muller Partnership's own Alex, Laini and Nirvana at the RMIT Student Careers Day outreach event in Melbourne. 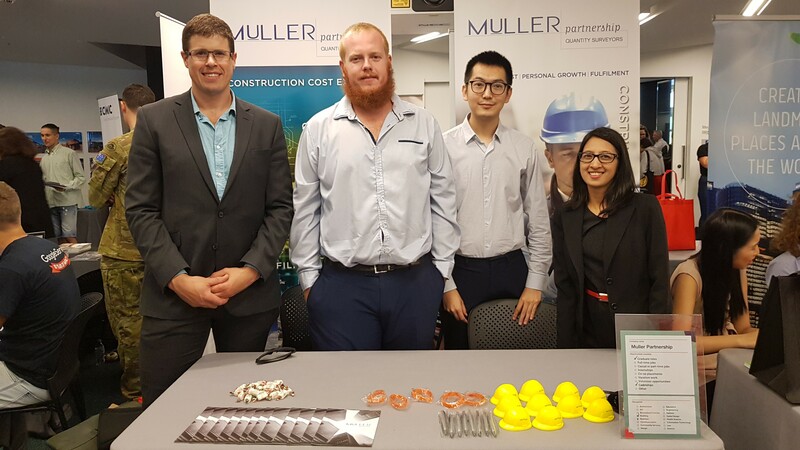 Muller Partnership joined a host of other organisations involved in the Construction and Project Management field to present the industry's future prospects and opportunities to RMIT's class of 2018.